This weekend, Toronto will become a global Bitcoin capital, as more than 50 expert speakers and 500 participants will take part in the first international Bitcoin Expo at the Metro Toronto Convention Centre. Joseph David, CEO of VirtEx Canadian Virtual Exchange, Canada’s largest Bitcoin exchange. The conference program will revolve around several topics, including the evolution of money and banking, safe Bitcoin storage techniques, the new cryptocurrency monetary era, Bitcoin and venture capital opportunities, and decentralized applications enabled by cryptocurrency platforms, among others. This is a big deal. Bitcoin is not just a currency, nor is it a passing trend. Yet, for all of the frenzy that has surrounded the Bitcoin, few people really understand just what it is. The applications for Bitcoins are growing and the opportunities for new startups to harness the power of the Bitcoin are huge. Bitcoin is simultaneously a digital cryptocurrency, a peer-to-peer network, a distributed accounting ledger, open source software, a software development platform, computing infrastructure, a transaction platform and a financial services marketplace. The digital currency function is probably the most “visible” element of Bitcoin. Basically, Bitcoin enables users to pay for goods and services via a digital wallet that is encrypted for security purposes. As a currency, Bitcoin is gradually being accepted both online and offline. There is nothing “central” about Bitcoin. A user reaches and transacts with other users instantly, no matter where they are located in the universe and regardless of banking hours. No intermediary can filter, block or delay a transaction between two users or two nodes that are consuming a transaction. Plus, any node on the network is allowed to offer services based on the knowledge of Bitcoin transactions anywhere. The core Bitcoin protocol is open source. The software was initially developed by Satoshi Nakamoto and was released in 2009. Since then, it has been maintained by a core group of developers and is continuously improved and enhanced by thousands of others who are innovating with products, services and applications that take advantage of the Bitcoin protocol’s robustness. For developers, Bitcoin has several application programming interfaces (APIs), including a transaction scripting language, a peer-to-peer node communications API and a client API to check transactions on the network. Other APIs are sure to be developed. Developers are flocking to the Bitcoin platform to innovate at both the applications and services levels. The Bitcoin network enables a variety of money-related transactions, as well as meta-transactions based on the “proof-of-work” algorithm that is part of the Bitcoin protocol. This means that applications such as escrow services, contracts verification and other legally binding services can be implemented without expensive third-party intermediaries. Bitcoin also enables earning mechanisms beyond compute-intensive mining. The Bitcoin network is itself fuelled by money; however, it is also an incredible innovation environment for the next generation of financial services. It has been said that Bitcoin is the “Internet of money.” This is probably one of the most exciting phases of its commercialization. Toronto has a vibrant cryptocurrency ecosystem, with its centre being Bitcoin Decentral, a vibrant 5,550-sqare-foot co-working space that houses several cryptocurrency-related ventures and activities, including Ethereum, KryptoKit, CoinTalk, the Bitcoin Alliance of Canada and Bitcoin Decentral Accelerate. 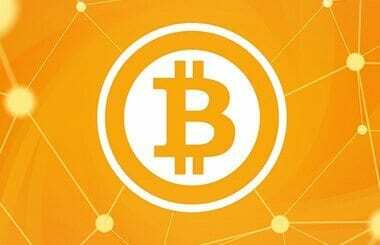 If you’re a Toronto tech startup looking to learn more about Bitcoin, register now for the Bitcoin Expo, which takes place April 12 and 13, 2014.